In Bodies and Transformance in Taiwanese Contemporary Theater, Peilin Liang develops a theory of bodily transformation. Proposing the concept of transformance, a conscious and rigorous process of self-cultivation toward a reconceptualized body, Liang shows how theater practitioners of minoritized cultures adopt transformance as a strategy to counteract the embodied practices of ideological and economic hegemony. This book observes key Taiwanese contemporary theater practitioners at work in forging five reconceptualized bodies: the energized, the rhythmic, the ritualized, the joyous, and the (re)productive. By focusing on the development of transformance between the years of 2000–2008, a tumultuous political watershed in Taiwan’s history, the author succeeds in bridging postcolonialism and interculturalism in her conceptual framework. 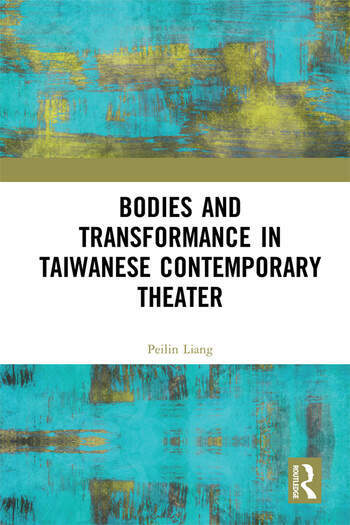 Ideal for scholars of Asian and Postcolonial Theater, Bodies and Transformance in Taiwanese Contemporary Theater shows how transformance, rather than performance, calibrates with far greater precision and acuity the state of the body and the culture that it seeks to create. Peilin Liang is Assistant Professor of Theatre Studies at the National University of Singapore. She is the director of A Home on the Island, a transnational Practice as Research (PaR) project in applied theatre since 2015. Her work has appeared in Theater Topics, Theatre Research International, Contemporary Theatre Review, InterAsia Cultural Studies, Performance Research, and Research in Drama Education.